Sea of Thieves is out now, and we’re finally able to sail the high seas. What other characters might be getting their boat on now? There’s something about the allure of boats. I’ve spent a lot of time cruising around in my own personal sailing vessel in Assassin’s Creed IV, and Geralt’s little single-person boat in The Witcher III ate up more of my time than I would like to admit. I just like being out there on the waves soaking up the wind and not having to run around and swing my sword at things. While I’ve been a little cold on Sea of Thieves so far, I have to admit that operating a big ole boat is very fun. I’ve had a good time just taking some time out, listening to the headings that my friends give me, and calmly sailing to that place. I bet that other people like that too. Or maybe they really enjoy fighting pirate skeletons. 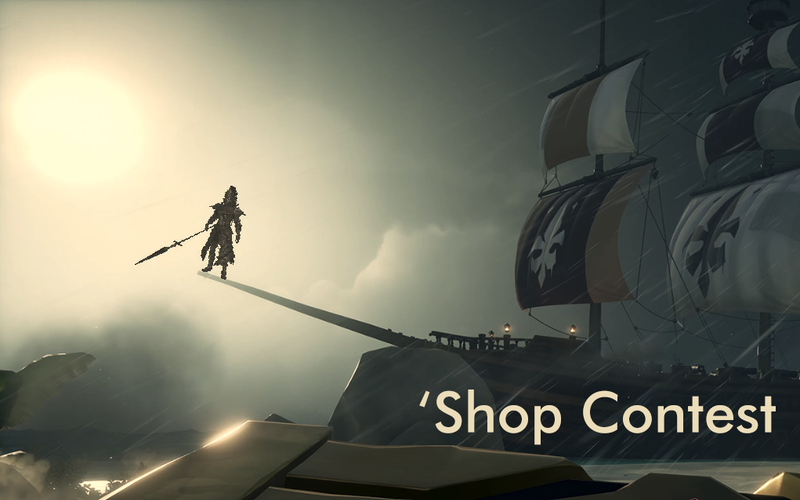 For this week’s ‘Shop Contest, I want to see video game characters enjoying the high seas. Give me the crossovers that we deserve. Dante slaying demons in the captain’s quarters, or Kirby yelling from the crow’s nest. The boat doesn’t have to be from Sea of Thieves, either, so feel free to source your boats, oceans, and characters as you see fit. The other ground rules are below. I can’t wait to see what you come up with. Kotaku &apos;Shop Contest: Amiibo Gold Rush, Winners!